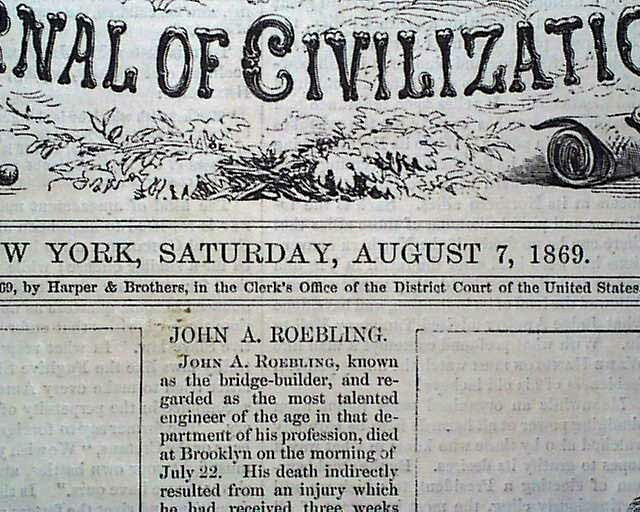 HARPER'S WEEKLY, New York, August 7, 1869 The front page two quarterpage illustrations of "The Late John A. Roebling" and "Hon. H. T. Blow, U.S. Minister to Brazil." 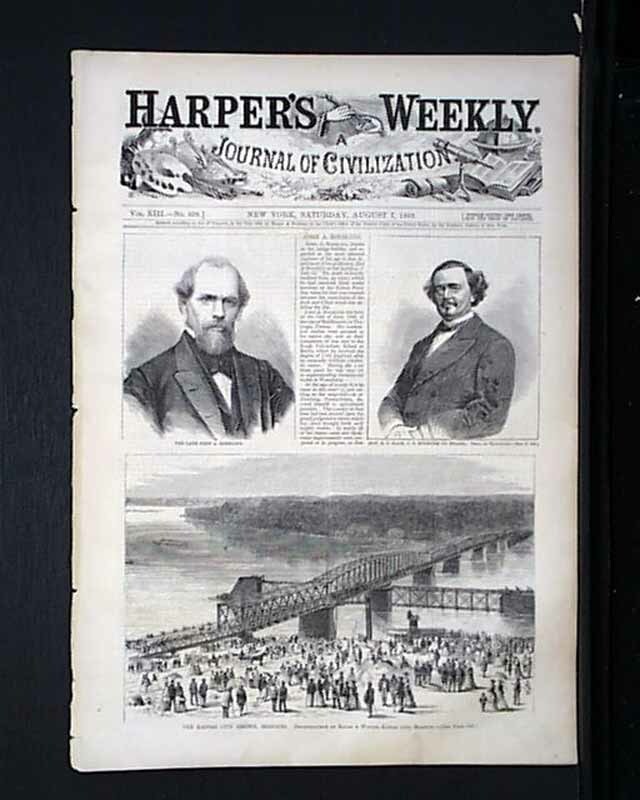 along with a halfpage illustration of "The Kansas City Bridge, Missouri." 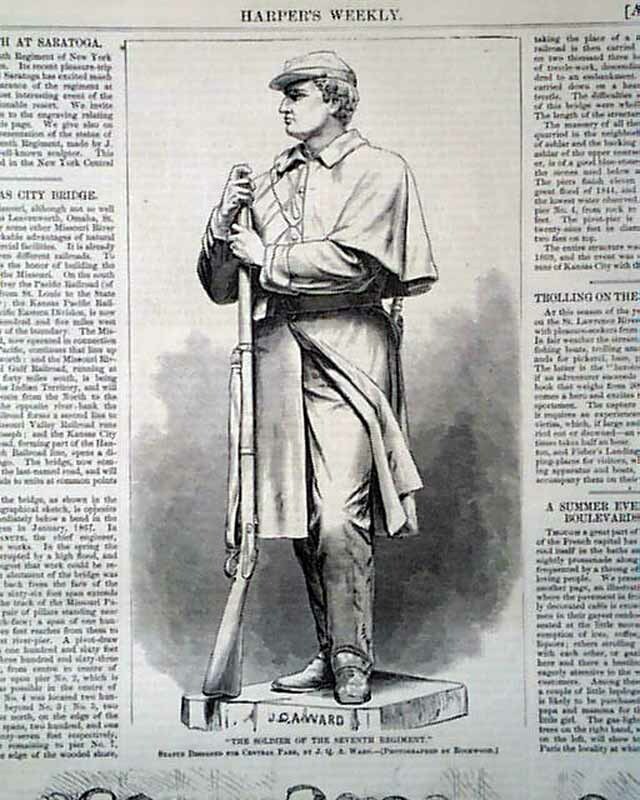 Inside is a quarterpage illustration of a statue of "The Soldier of the Seventh Regiment" which was placed at New York Central Park along with a halfpage illustration of "A Scene at Saratoga During the Visit of the Seventh Regiment." 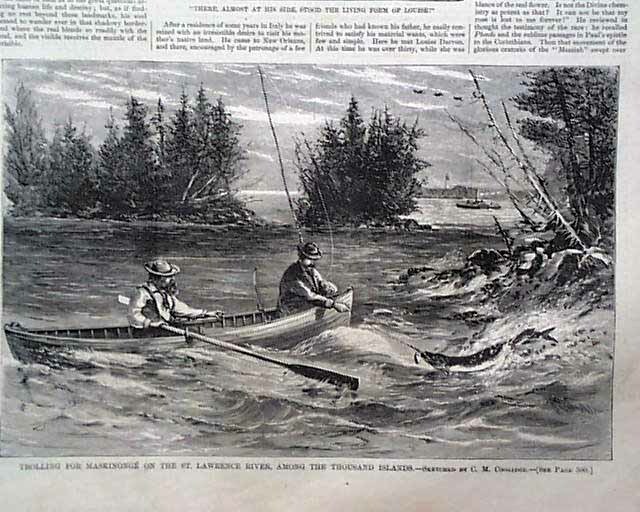 A halfpage illustration "Trolling for Maskinonge on the St. Lawrence River, Among the Thousand Islands." 1/4 pg. "Map of Hempstead Plains, Long Island, Recently Purchased by Mr. A. T. Stewart." 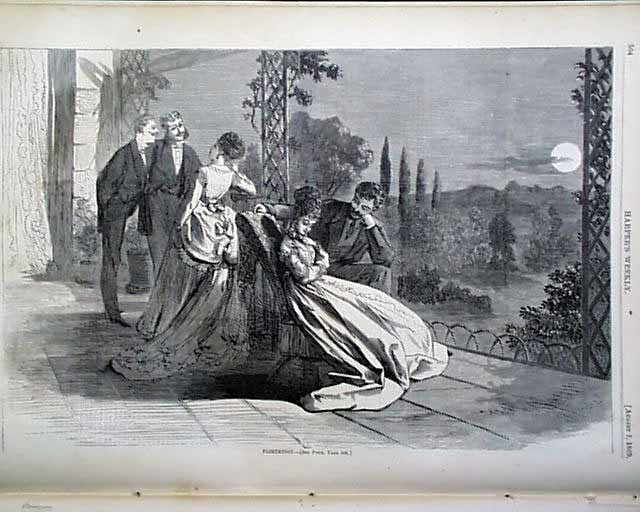 There is also a full page illustration of "Flirtation" and "A Summer Evening on the Boulevards of Paris." 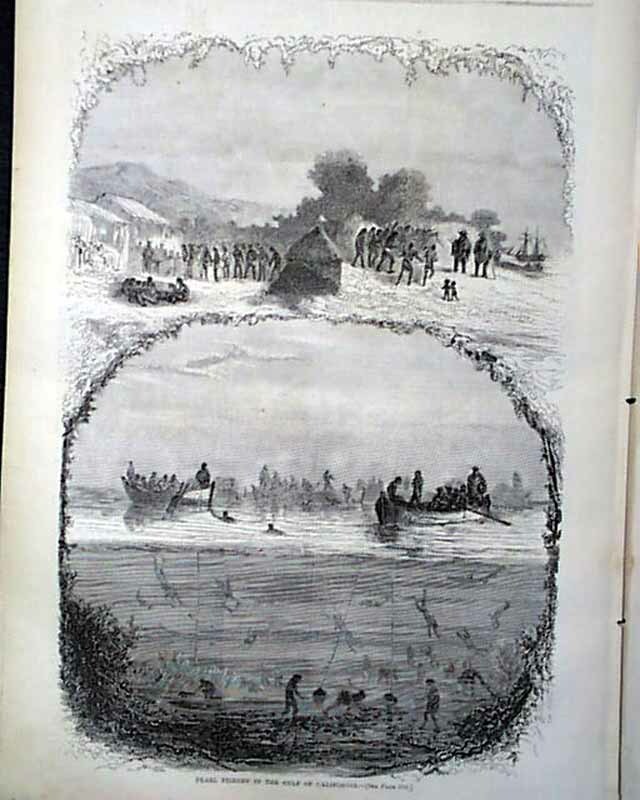 A fullpage illustration is showing the "Pearl Fishery in the Gulf of California." 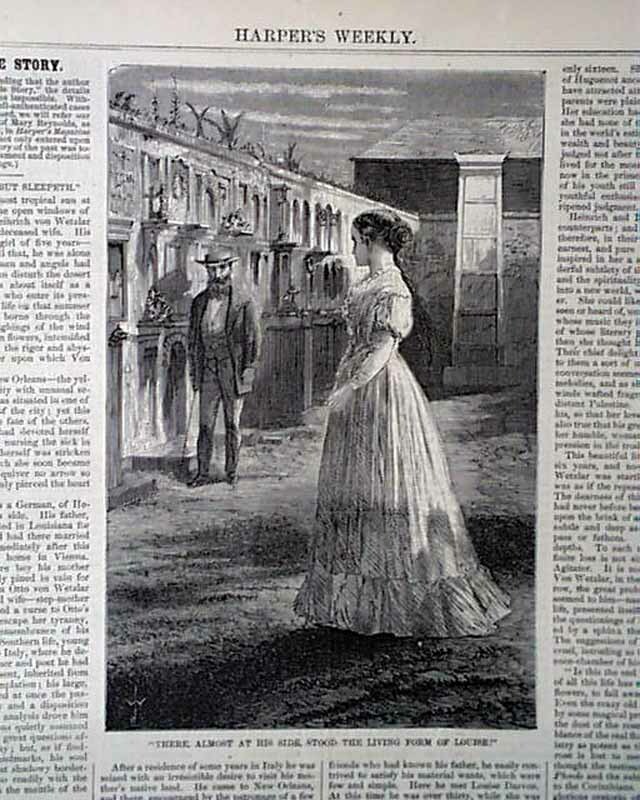 A quarterpage illustration is of "M. Eugene Rouger." 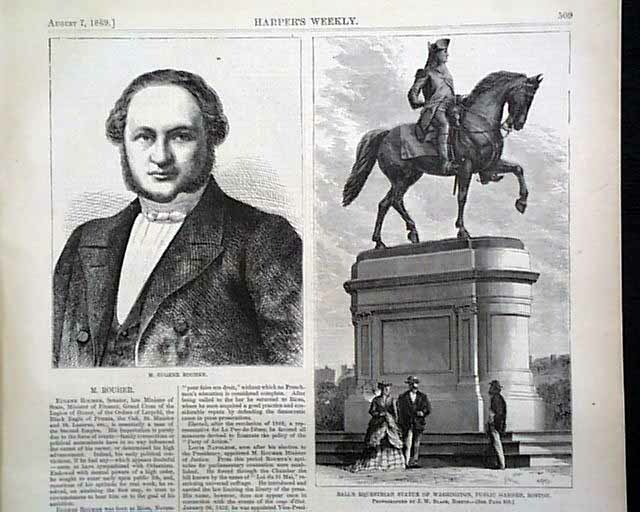 along with a one-third page illustration of "Ball's Equestrian Statue of Washington, Public Garden, Boston." 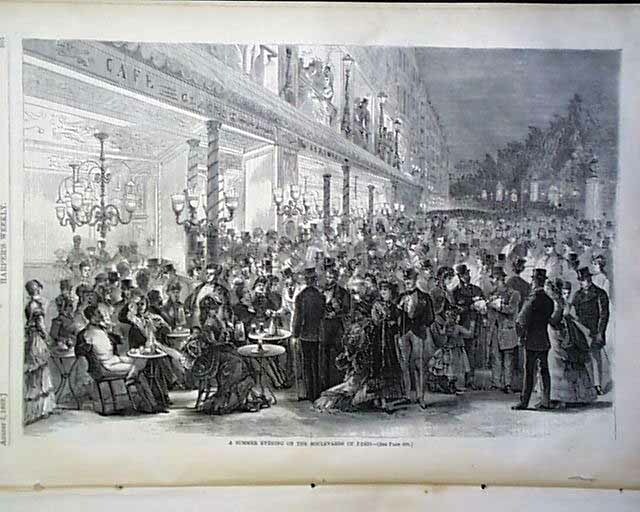 A one-third page illustration is of "Alms-House, Cincinnati, Ohio." 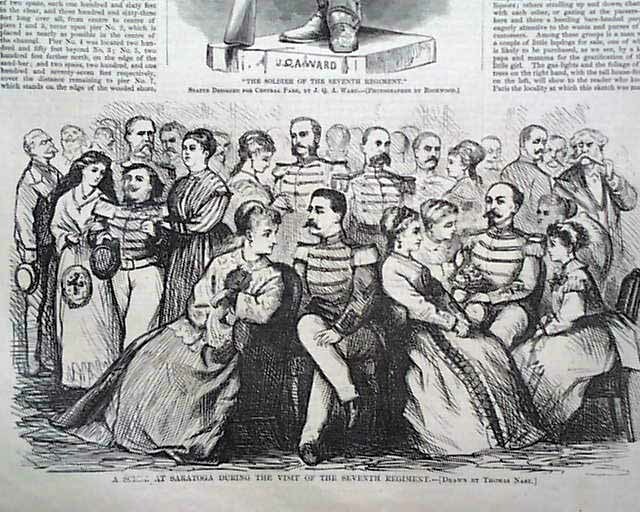 The back page features a political cartoon by Thomas nast.